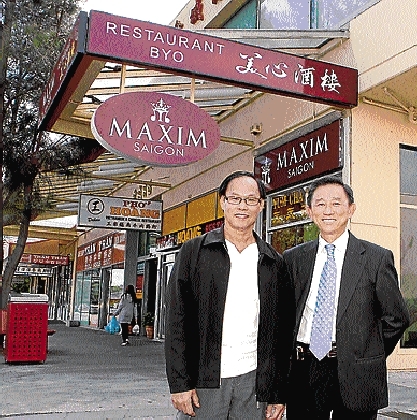 SPRINGVALE’S chief Asian business association has warned that any move to dilute the retail precinct’s Asian food flavour may kill the ‘golden goose’. An Essential Economics report released last week recommended that national retail brands, cafes, clothing stores, homewares, and entertainment and leisure-oriented retail were needed to lift the precinct’s under-par economy. The report stated the centre was noted for its Asian grocers and retailers, but there was too much emphasis on independent food traders and “low-performance traders north of the railway line”. But Springvale Asian Business Association spokesman Stan Chang said big chain stores like Myer or Officeworks or “the standard mix” of retailers would make the area just like any other Australian shopping centre. He said the report failed to acknowledge that Springvale hosted one of the biggest Chinese new year festivals in Melbourne and was generally attractive to migrants. The report estimated that Springvale retailers generated $211 million a year or about $5295 a square metre of floor area – a result it considered “below average”. Mr Chang said Springvale would prosper with just a small slice of the $280 million invested by the state government in revitalising Dandenong. The funds could be used to beautify the streets with trees, resting areas and landscaping. Mr Chang agreed with the report’s recommendations for better street lighting and street cafes, and the need for the proposed grade separation of Springvale level crossing. Greater Dandenong mayor Youhorn Chea said there was scope for economic growth but supported retaining the area’s niche. He said large chain stores were better sited near the intersection of Springvale Road and Princes Highway, rather than in the precinct.